We had a fruitful exchange of ideas related to engineering higher education, organisational structure, research challenges and our respective strategic initiatives. Prof. Rosehart was especially interested in the Melbourne Model of Education, as well as our interdisciplinary work related to geomatics, spatial science, disaster management and public safety. He was interested in how our respective academics and researchers could potentially collaborate in the future. 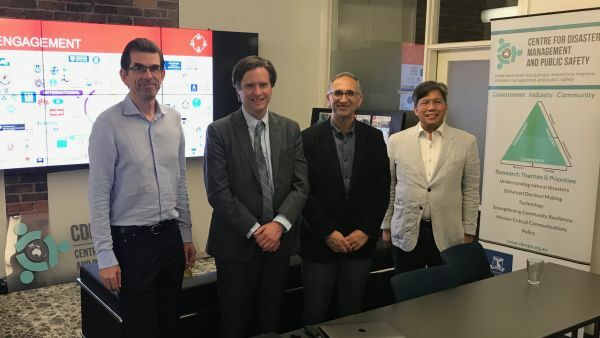 During his visit at the University of Melbourne, Prof. Rosehart was also joined by the University of Calgary's Vice-Provost (International) and the Dean of the Faculty of Science.